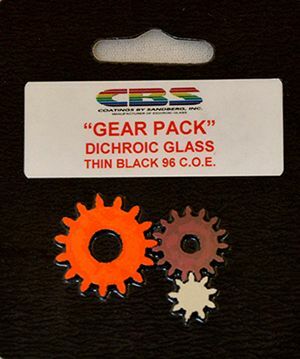 7568-CBS 96 Waterjet Gear Pack SALE! Pre-cut 96 coe Gears on Thin Black Glass. 1 Small - 1/2" Dia. 1 Medium - 3/4" Dia. 1 Large - 1" Dia.